What types of people float? Brisbane’s and the Sunshine Coast’s premier relaxation & recovery centre. The Float Space draws on a holistic yet modern view of health, wellness and spirit. Our aim is to enhance our clients’ quality of life, whether they’ve come to us for overall well-being, to address a mental or physical condition, perform better in sports, or to look and feel younger and healthier. Why choose The Float Space? The results achieved from our therapies will help you feel present, reduce the effects of stress, and enhance your day to day activities and routines allowing you to be your best and happiest self. Are you feeling a little stressed lately? If so, it’s time to reset your mind and body by visiting The Float Space, the number one floatation centre Brisbane has available. Located in West End, The Float Space offers a unique way to attain calm, gain clarity and find new purpose in our newly opened Brisbane spa centre by simply floating your cares away in one of our state-of-the-art float pods. It’s an experience quite unlike any other, but we guarantee that when you’ve floated in the best float centre Brisbane has available, you’ll leave feeling like a new person. When we created our spa and float centre we wanted to provide the ultimate urban retreat for busy city dwellers. We believe that we’ve managed to achieve this by providing a range of unique experiences, including our popular floatation therapy, that are aimed to balance both your mind and your body. By surrendering yourself to the sensory deprivation of our float pods in Brisbane, you’ll start to feel a level of mental and physical relaxation like you’ve never felt before. A safe and nurturing way to unplug from the constant noise and busyness of the city, floating at the best floatation centre Brisbane has available gives you the chance to unwind and take some time out from the hectic and over stimulated environment we live in. One of the first questions we get asked at our floatation centre is ‘what is float therapy? Floatation therapy is simply lying in a tank that’s filled with enough Epsom salts so that you can float effortlessly. The pod itself is just like a giant private spa bath, with one difference – it has a lid that you can close behind you. At our float centre in Brisbane, we fill our insulated float pods with body temperature water until it reaches 25 centimetres deep and add a whopping 500kg of Epsom salts. This density of salt means that you’ll float effortlessly, releasing your body from the stresses of normal day-to-day living. But float therapy goes way beyond simply floating in a bath of water. The water is heated to body temperature so you lose the sensation of your body; and when you close the lid, due to the insulation of the pod and the fact that your ears are below the water, you’re enveloped by silence. And, once you turn out the lights, you’re surrounded by darkness. Removing all these senses at once can cause amazing things to happen; from feeling the most relaxed you’ve ever felt, to learning new things about yourself. Are you ready to find out what will happen to you when you immerse yourself in one of the best float tanks Brisbane has available? Many people who’ve tried floatation therapy at our Brisbane floatation centre will tell you that it’s a little like floating in space: that you feel weightless as though there’s no longer any gravity to pull you down. You’re completely removed from the sensory overload of modern day life; you simply lie suspended fully relaxed, giving your body the opportunity it so rarely receives to completely relax. And, as you’re removed from any external stimulus, you experience a deep sense of focus and clarity, just as if you were meditating. 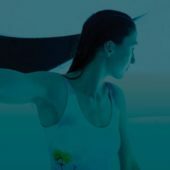 If you’ve always wanted to experience what it feels like to be weightless, you’ll love the sensation of floating in the newest sensory deprivation tank Brisbane has to offer. After an initial experience in a float tank, Brisbane ‘floaters’ are usually keen to float on a regular basis. As the body’s ability to heal naturally only occurs during deep relaxation, floating gives you the perfect opportunity to allow this to happen, and the more often you float, the better you will feel. Therefore, it makes sense to set up a regular appointment to enjoy the deep relaxation floating in the most modern floatation tank Brisbane has available can bring. Who Benefits From Float Therapy In Brisbane? Everyone will benefit from float therapy, but it does offer extra special benefits if you suffer from chronic pain, extreme stress, a sleep disorder, migraines, asthma, depression, anxiety or adrenal fatigue. It’s also a great way to restore a sense of calm and equilibrium if you’ve been diagnosed with PTSD, or help you to gain mobility and clarity if you’re in rehabilitation. Whether you’re an athlete in training or an athlete in recovery, you’ll find regular sessions of floating will keep you in peak performance, or help you back to fitness. It really does have the ability to regenerate both your mind and body, by reducing muscle tension, blood pressure and inflammation while lowering the amount of stress hormones in your body and enhancing the production of those all-important endorphins. It’s also a great boost for the immune system, and will leave you with a great feeling of euphoria that can last for several days after the session. No matter what your age, you’ll find it a great way to give you a lasting feeling of well-being and, for this reason, more and more people are keen to try the experience at the centre for float therapy Brisbane floaters have come to rely on for their regular fix of floating. If you want to experience the benefits you gain when you float, Brisbane based The Float Space would love to introduce float therapy to you. Simply book your floatation session online and you too will soon be able to experience the unique effects of floating in the best float tanks Brisbane has available. Our friendly staff are always happy to have a no-obligation chat with you about how float therapy could help you, and we’re always ready to answer any questions you may have on floatation therapy. The Float Space is the best leading floatation centre in Brisbane. We are offering a wide range of services including Float Therapy in Brisbane, Infrared Saunas in Brisbane and Cryotherapy. Get a free quote online and book yours today! Reset the mind & body. There are so many benefits to floating that you can see after just one float, but most benefits are seen after routine practice. With flexible terms plus special perks, our multi-float packages give you maximum benefits at the best value! We also have gift cards. At The Float Space we offer a range of services that have been carefully selected to perfectly complement and enhance your float experience. We offer you to combine our effective and powerful therapies for a total reboot of body and mind. Leave feeling refreshed, energised and brand new.